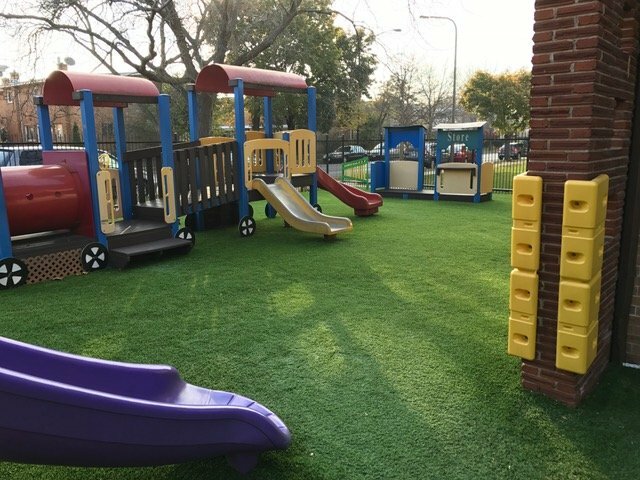 Toddler Town & Toddler Town Daycare Too updated their outdoor play areas with synthetic lawn safety surfacing. 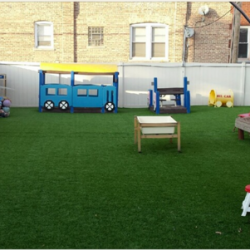 Toddler Town Daycare improved playground safety by installing SYNLawn® synthetic grass. 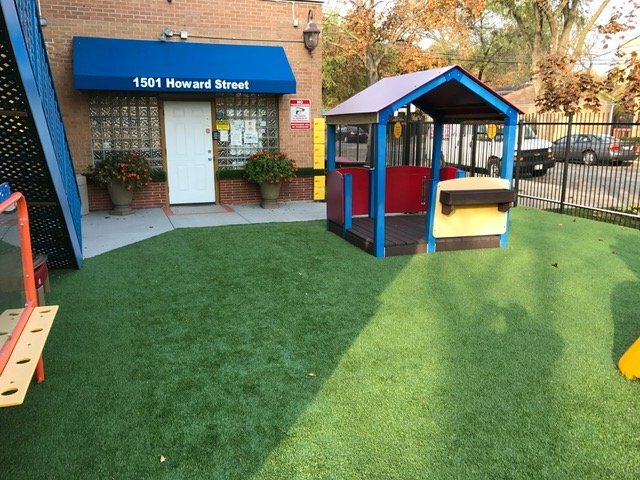 The upgrades are at the Evanston location and at Toddler Town Daycare Too in Chicago. 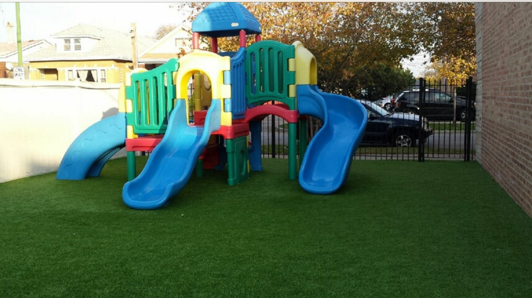 The SYNLawn® Playground System has soft padding to protect children from falls as high as 10 feet. This safety requirement is set by The CSA Group. 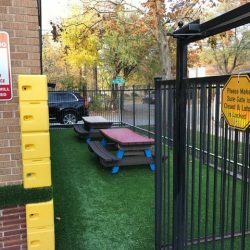 The safety surfacing follows standards set by the International Play Equipment Manufacturers Association (IPEMA). 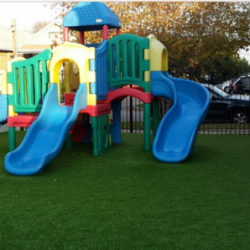 The non-abrasive synthetic grass is safe for different climates and high-traffic areas. 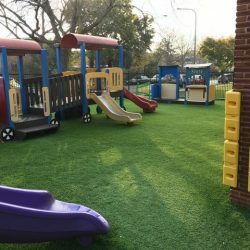 Toddler Town has paid for their playgrounds to be tested, which have passed safety tests with high marks. 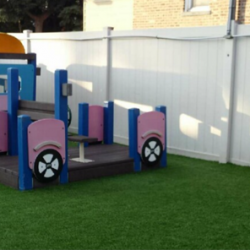 The upgraded safety surfacing reduces playground-related injuries at child care centers. Many playground-related injuries arise from children falling on an unsafe or abrasive surface. 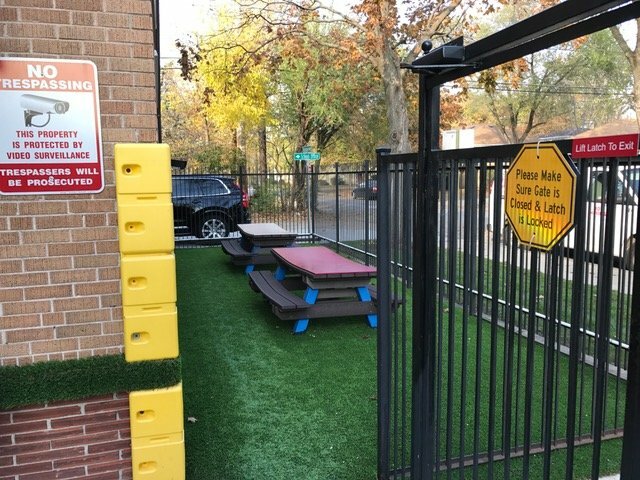 At Toddler Town, all outdoor areas are covered in safety surfacing except for entrances. The child care center has also added new playhouses, sand tables, and art easels for creative outdoor play. These updates are a part of the daycare’s continuous efforts to create and safe and fun environment. The playgrounds also are equipped with video monitoring system to enhance safety and security. 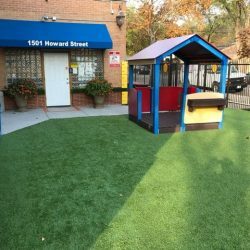 Toddler Town Daycare has campuses in both Chicago and Evanston. The Evanston location opened in 1998, and the Chicago location opened in 2005. Owner and Director Angelo Nikolov has run Toddler Town Daycare for over 18 years. Nikolov holds a Master’s Degree in Early Childhood Education Business Administration. Toddler Town Daycare is fully accredited by The National Association for the Education of Young Children (NAEYC). Toddler Town Daycare has been awarded the Gold Circle of Quality from ExceleRate Illinois.